Welcome Home!!! Pride shows in this Bright 4 bed, 3 bath home located on CUL-DE-SAC in one of Missions best areas. After entering upstairs you will find 3 good sized bedrooms, 2 fully renovated bathrooms, living room with gas fireplace, huge renovated kitchen with tons of counter space, stainless appliances including master chef fridge/freezer combo and hardwood floors. Downstairs is fully finished with a family room, renovated bathroom, bedroom and bonus sports BAR in the rec room with separate entry. 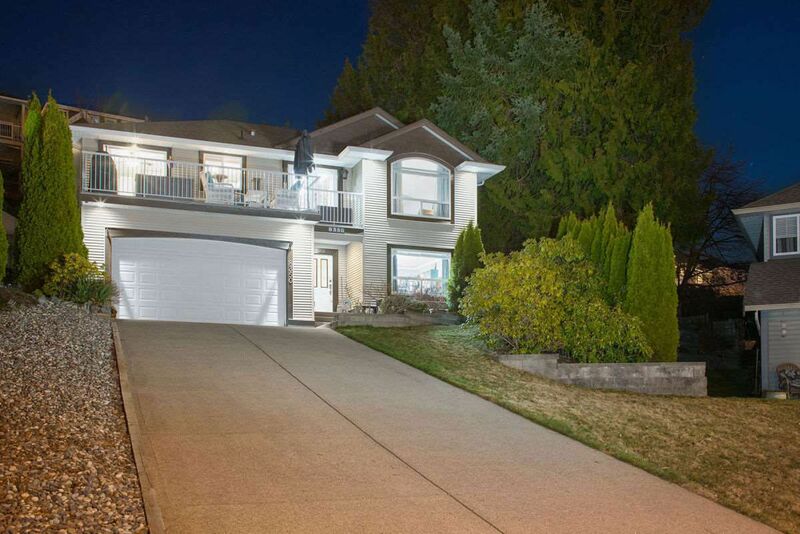 This home is the entertainers dream from Bar downstairs to the Sundeck out front with AMAZING views of the valley/mount baker to the low maintenance private backyard oasis fully landscaped with fire pit perfect for the summer.